The St. 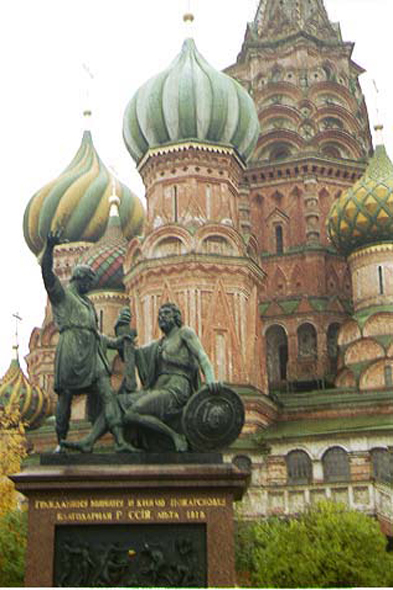 Basil's Cathedral, known as the happy one. The cathedral was built under the reign of Ivan the Terrible, to commemorate the conquest of Kazan; plundered by the Poles into 1611, transformed into stable by the Napoleonic troops in 1812, restored in 1969. Through this jumble of cupolas and bell-towers, the whole of thebuildings placed side by side and superimposed fits in a cone.